17-year-old Im Hana won the 10m Air Rifle Women event in a crowded finals hall, besting India’s Anjum Moudgil and her more-experienced teammate Jung Eunhea, who respectively took silver and bronze. 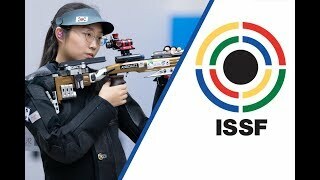 The first world title for the host country and two Olympic quota places: Republic of Korea’s Im Hana and Jung Eunhea drove the crowd crazy at the Changwon International Shooting Centre, where they pocketed a gold-bronze combination in the 10m Air Rifle Women event, also claiming two of the four Olympic quota places up for grabs. 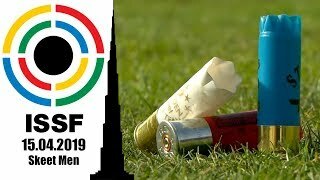 17-year-old Im, who is participating here in the first world championship of her career, was standing in 5th place after the first 5-shot series, and in 3rd after the second one. There, the young Korean shooter fired a series of impressive shots, hitting the 10th ring for 14 consecutive times and definitely grabbing the top position after shot number 14. The new World Champion, who made her 4th appearance ever in an ISSF competition, concluded with 251.1 points. Im prevailed over another talent — India’s 24-year-old Anjum Moudgil — who fired a 9.8-9.7 combination in her third-to-last series, eventually signing off with 248.4 points and the silver medal around her neck. The podium was completed by another Korean shooter: Jung Eunhea, indeed, joined Im and Moudgil on the podium after she led the scoreboard in the earliest part of the match. The 28-year-old from Incheon claimed the bronze medal with 228.0 points. The other two Olympic quota places were awarded to Moudgil and to the second Indian shooter in the final — 25-year-old Apurvi Chandela — who took 4th place with 207.0 points. Chandela was followed by Singapore’s Adele Tan Qian Xiu (19), who barely missed the Olympic slot and finished in 5th place with 184.3 points. 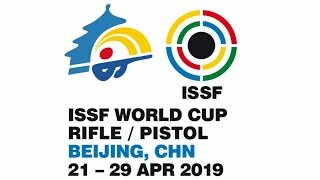 The former World Champion of the Air Rifle event — Italy’s 29-year-old Petra Zublasing — left the contest after shot number 14, taking 7th place with 142.9 points. Two shots later, it was Chinese Taipei’s Lin Ying-Shin who left the match: the 19-year-old athlete, currently number 2 in the World Ranking in this event, concluded in 6th position with 163.4 points. 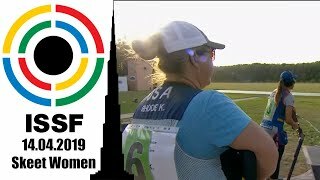 Germany’s Isabella Straub was the first shooter eliminated from the final: the 27-year-old, who made her first appearance in an ISSF final match, finished with 122.1 points and took 8th place. On the team podium, the Republic of Korea secured the gold medal with 1886.2 points, setting a new World Record in the women’s 10m Air Rifle event. The silver medal was awarded to India with 1879.0 points, while the bronze medal went to Germany with 1878.4. 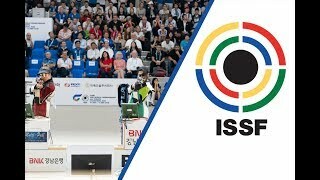 The ISSF World Championship in Changwon will continue this afternoon with the Trap Women Junior final, scheduled at 3:30 pm (UTC+9:00), and the Trap Men final, taking place at 4:45 pm.